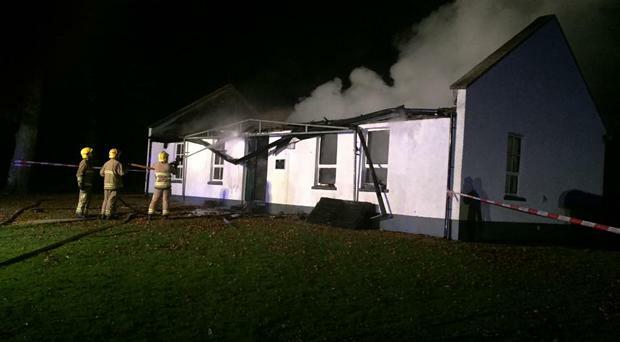 A sailing club in Co Down has been gutted in a fire. It happened at Strangford Sailing Club on Tuesday night and destroying the premises. Club secretary Jane Meekin told the Belfast Telegraph that the building can be replaced and she was thankful that no-one was hurt. She said it's the memories and artifacts that they are most sad about losing. "It's the memories and the silverware and the old photos that are irreplaceable. "The building is not that old. The club started in 1946 but it was originally based in Strangford Village. It moved to the Greenrow which is part of Castleward and got the building built in 1981, so not that old a building but they had all the old photographs and there was nice silver cups, it's the history that was destroyed that we won't be bale to get back. She added: "The building we will just rebuild." The club has around 70 members along with some junior members with many expressing their sadness at what had happened. Jane said: "The sailing community is so small and our club is tiny. "It's a really nice family club with very good loyal membership and they are all e-mailing and on Facebook with offers of help. It's nice that there is that community feel but it is sad for everybody." The blaze has happened at the end of the sailing season so the club have just one event left to hold. Jane said: "The timing is good in a way, rotten, but it's not going to impact us on the sailing side. "You have to be positive, you got to look forward to a nice clubhouse and we are a small club and it will pull everybody together, the number of people volunteering to go down and help clean up is ridiculous - not that they can at the minute. "It's just assessing the damage , seeing where we go and making plans for the future." The Northern Ireland Fire and Rescue Service said the blaze has been determined as "accidental". Two fire appliances attended the call at 9.19pm and the incident was dealt with at 11.29pm.